Steps/Mesures is a short-term residency program presented in partnership with the Institut Français and the Consulate General of France in Toronto. This program invites artists and curators living in France for a series of short-term residencies in Toronto to forge conversation between cultural ecologies. The next guest of the series will be Brétigny-based curator Céline Poulin. Céline Poulin will present a talk outlining her curatorial research, outlining her role as the Director of the CAC Brétigny. 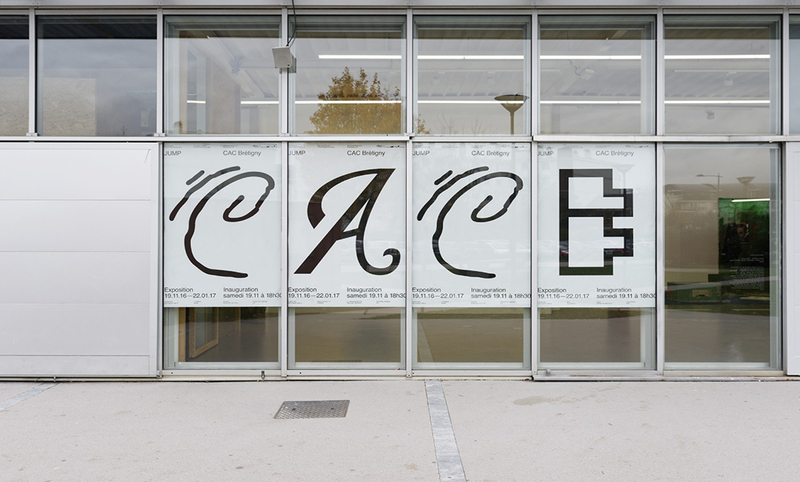 Since taking on this position in June 2016, the CAC is focused on programming that encourages an active use of the institution by artists and the public, where amateurs are invited to activities of collaboration and production. Each year’s program is devoted to a theme, evolving through different projects. In 2017, the theme is “Chants de distorsion” (Distortion Songs), in French, a play-on-words for “distortion field”. Champ de distorsion is a homophony of chants (songs) and champ (field). This theme is derived from the expression “reality distortion field”, referencing the charismatic power of Steve Jobs, the cofounder of Apple, and his influence. This theory of a distorted reality is proposed in relation to the function of art and its relationships to language, song, and voice, as seen in the exhibition Vocale (2017). Just as co-creation practices operate at the junction of various disciplines. Poulin’s research is situated at the crossroads between artistic, sociological and anthropological fields. Poulin is a curator working independently since 2004, and as offsite curator at Parc Saint Léger from 2010 through 2015. Recently, she led the exhibition programs and events Les Incessants at Villa du Parc in Annemasse (2016), and Traucum at Parc Saint Léger (2014). As guest curator at Deutsches Achitektur Zentrum (Berlin) in partnership with the Bureau des arts plastiques et de l’architecture, she curated «A SPACE IS A SPACE IS A SPACE» (2015). She is a member and co-founder of the curatorial research collective le Bureau/, initiated and runs the research program Legacies and modalities of co-creation practices with artist Marie Preston, at Villa Vassilieff in Paris, produced by University Paris 8 Vincennes-Saint-Denis (Équipe Teamed) and MAC VAL contemporary art museum in Vitry-sur-Seine, in partnership with Kadist Art Foundation. Her research projects and exhibitions often include editorial components, including books and websites. Céline Poulin is a member of C-E-A (the French association of curators) and IKT (Association internationale des commissaires en arts contemporains). With special thanks to Selma Toprak and Justine Marie at the Consulate General of France in Toronto, and the Institut Français, Paris. Additional thanks to Cooper Cole Gallery, Toronto. Image: Exterior of the CAC Brétigny, 2017, courtesy of Céline Poulin.